May 10, 2013 /0 Comments/in Laser Nail Treatment, Toenail Fungus Treatments /by Jenn F.
Each spring, love is in the air, as the weather begins to warm up and the flowers bloom. Once the bliss of the proposal settles, the sobering reality of all that you have to do kicks in. Planning a wedding is stressful enough, without having to worry about finding a fast toenail fungus cure — not to mention a way to pay for it! Yet, the cost for laser nail treatment for fungal nails can be prohibitive for some, especially couples who are saving up for a big wedding. According to the Wall Street Journal, the course of treatment costs $750 to $1,500, and generally isn’t covered by insurance. So what can you do? Use A Health Care Credit Card. Bankrate recommends using a specialized health care credit card to pay for your essential treatment. These cards include the GE Money CareCredit and ChaseHealthAdvance. Once you are approved, you decide the length of the repay schedule. If you choose a term of three to eighteen months, you will pay no interest, as long as you pay your bill on time. On the eighteen to sixty-month schedule, you pay a rate of 13.9 percent or higher, depending on your credit score. Work It Out With Your Provider. It doesn’t hurt to ask prospective laser foot fungus removal providers if they accommodate you with an in-house payment plan. “I think the health care system is getting set up to be a lot more accommodating to people who are having trouble paying their bills and can demonstrate that,” says Steve Findley, senior health policy analyst with Consumers Union in New York. “Providers, from what we’re hearing, are open to working with consumers. There has been a move on the part of hospitals for some time to loosen things up because they were getting a bad reputation for being so Draconian with collections,” he adds. Often, under an in-house arrangement, a podiatrist will send you the bill each month and you pay what you can until the amount has been paid in full. Use Your Health Savings Account. Laser Nail Center recommends paying for treatment with funds from a Health Savings Account (HSA), Medical Individual Retirement Account (Medical IRA) or other Flexible Medical Spending Accounts (Medical FSA). Even if you haven’t saved up so far, you can ask your employer if any of these programs are offered and start saving now. For many people, it’s just easier to have the money deducted from their paychecks automatically, so it’s out-of-sight, out-of-mind. Shop Around. It’s wise to shop around to see what offers are available in your area. For instance, patients in New Jersey can go to Dr. Boris Raginsky DPM and receive laser toenail treatment on both feet for just $449, under his current promotion. Just be sure you are seeing an experienced podiatrist to have the work done, rather than a beauty spa. Prevent Recurrence. No one wants to pay for laser toenail fungus removal only to find that it’s come back just a few months later. Unfortunately, if you’re not willing to limit your exposure to fungus, it will return! We recommend disinfecting all your socks, changing your habits to ensure you never walk barefoot in public places, resisting the temptation to share personal hygiene items (like towels) with anyone else, and investing in a SteriShoe® UV shoe sanitizer to kill up to 99.9% of bacteria and fungus that may harm your feet. 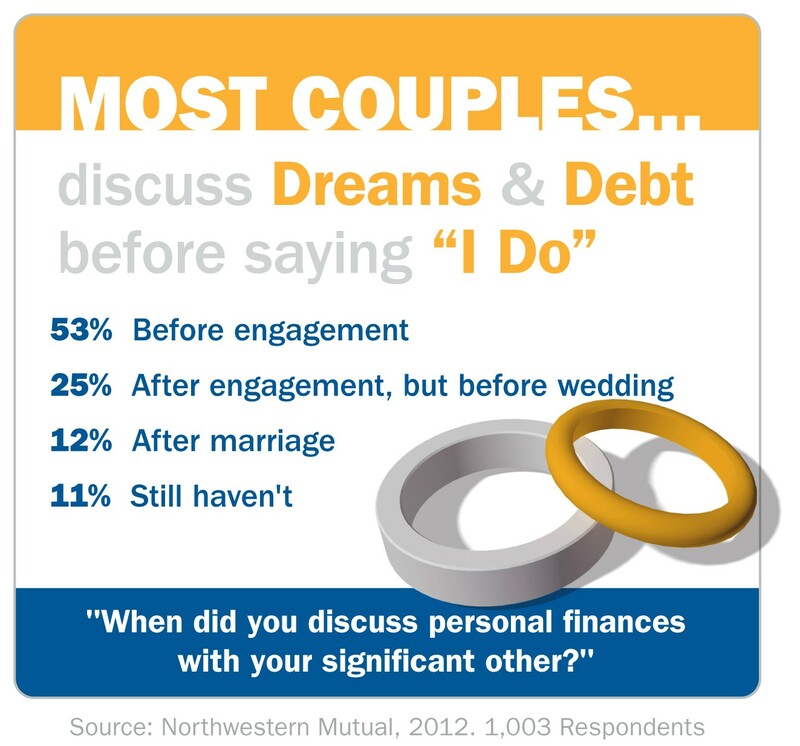 There are many financial issues to sort out as you prepare for marriage — from how you’ll deal with your student loans, to how you’ll pay for necessary medical treatments. Think of it as an early test of your commitment to one another. You’ll have to endure many hardships together over the years, but thinking smart to come up with a solution and set the tone for your future will make your bond even stronger.